Who knows your customer best? You do. That’s why we’ve given you tons of ways to identify your ideal audience segment and find the right users at the right time. To start, open up your campaign settings using the pencil icon next to the campaign’s name. From here, you can access all the unique targeting options for your campaign. Scroll down to the “Targeting” or “Placement” section. In the ‘Audiences’ tab of the dashboard, you can create a custom audience meant to retarget existing users, target campaign clickers, or target users who “look like” your existing users. Once you’ve created your audience segment, we recommend letting it reach a size of at least 30,000 users. Once this is all set, head back to your campaign settings menu and scroll down to the “Targeting” section. 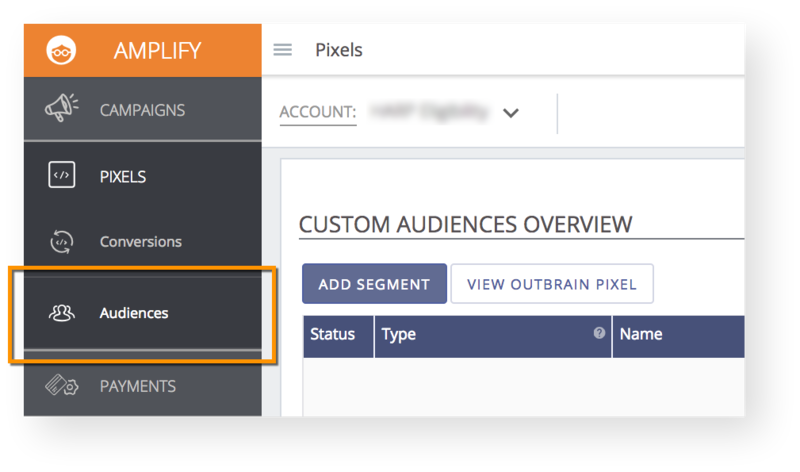 From here, you’ll be able to target your campaign to the custom audience segment that you made. 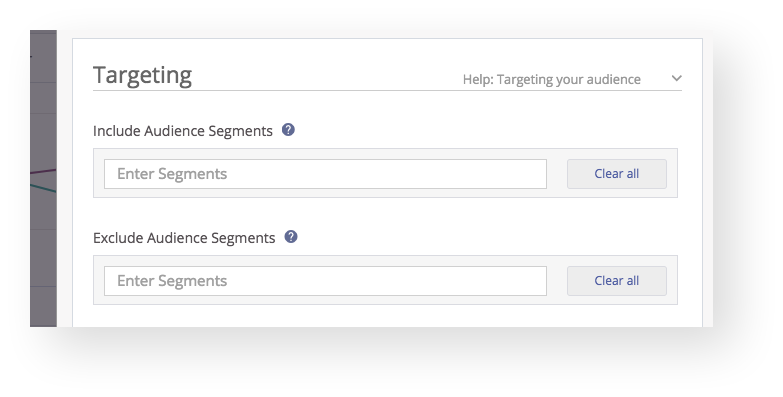 Using the “Include Audience Segments” field, select which audience segment to target. You can also exclude audiences that you’ve created. If you built a Custom Audience of users who have, for example, bought your product, you can then exclude this group in order to target only those who haven’t yet made a purchase. You can also target your campaign based on country, state/region, U.S. DMA, or postal code. Simply type the name or postal code of the area(s) you wish to focus on to add the location to your campaign. This will allow you to specify user IP locations. To import multiple locations at once, click “Import” and select an option from the drop-down. To add locations other than postal codes, click the “Other” option. Download the provided template, enter your specifications and click “Choose a CSV File” when you’re ready to upload them into the campaign. If you don’t see your desired location options, please reach out to us for assistance. You can select which device platforms to target – desktop, tablet, and/or mobile. 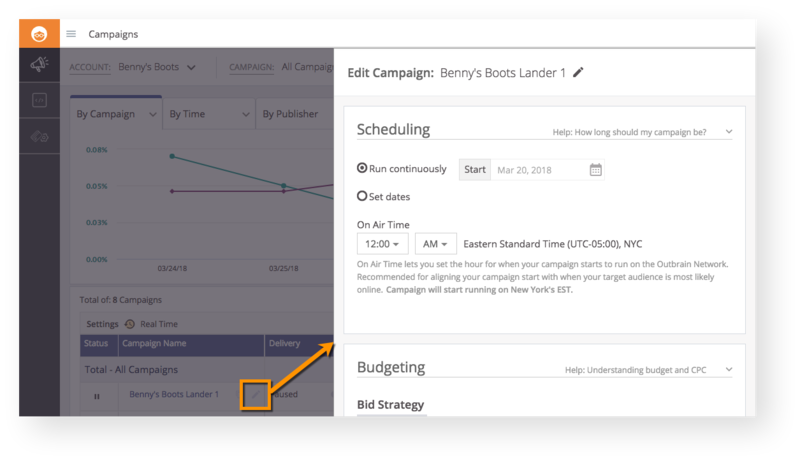 We recommend creating separate campaigns for each platform, so that you can test which works best for your content. Also, keep in mind that you should start with a higher CPC for desktop than for mobile or tablet. Adding too many audience targeting features may restrict the reach of your campaign and lead to poor performance. If you are having trouble reaching your daily budget, try removing some of your audience targeting.